Tennis Fit in Johns Creek, GA offers insights and advice for the serious tennis player, adjusting to international travel and tennis tournaments. Tennis is played around the world and you must gradually prepare yourself to compete in different venues and different locations. The difference between tennis and other sports is that you cover all of these expenses. Before you go off and start touring around Europe on the red clay junior circuit you may want to invest a little time in your local events and dominate your area before spending thousands of dollars in another country. Often time’s families confuse family vacations with tennis tournaments and try and combine the two events. If you want to take a family vacation then organize this time separately for your family. Selecting a tennis tournament to travel to should involve giving your son or daughter an actual chance to win the event and they should be prepared every day to compete at the highest level in this event! Once you have dominance in your local events it is time to branch out into sectional travel events which usually involve three or four days of travel based on how well your kids do in the event. You can expect to spend between $500 and a $1000 dollars depending on whether you travel with an academy, a private coach, or you go on the road with your kids. In any event you are going to spend a significant amount of money and time even at the sectional level. If your kids are not dominating the local level spend more money on private lessons, group lessons, practice matches, and local tournaments. Spending valuable money and time traveling to sectional events for them to get rounded or win only one or two matches equates to too much spending for those wins. Once you have started to dominate the sectional tournaments it is time to branch out to the national tournaments which generally last a week if you are making it to the semis or finals of the front or back draws. This is where you are really starting to spend a lot of money. You can expect to spend between $1,000 and $2,000 dollars depending on how you organize your trips. If you would like your kids to go to any top level D1 or D2 schools and receive scholarship money into college then you will need to make this investment. However, they have to be ready to compete at this level and be willing to spend significant time away from home. The expense and time commitment at this level is significant and so is the pressure because everyone at this level is good and you cannot expect to have many easy matches. In order to compete at this level your fitness will need to be a t a high level as well or you will be injured before the tournament finishes and you will have just wasted a lot of money!!! You thought you spent a lot of money on the national scene but it is pale in comparison to the international scene and the amount of money you will spend to travel to junior Wimbledon or to junior Australian Open. If you do not have significant personal funds, sponsor money, or USTA help then it would not even be possible to compete at this level. In order to get assistance at this level you are going to have to be one of the top players in the country. This is the level where many young players start to play future level events to try and recoup some money back from the tournaments. However, this means you just entered the adult world which includes top world ranked players and ex college players competing for that same money. Expect to spend $100,000 dollars plus per year traveling and training when you reach this level. 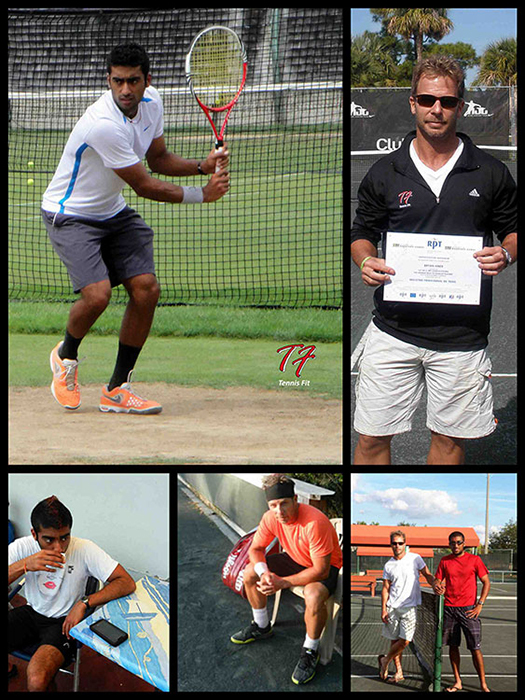 Tennis Fit can act as a true tennis consultant in these matters and give you a clearly defined path on how all this should be approached and when to pull the trigger on the next level of competition and training. 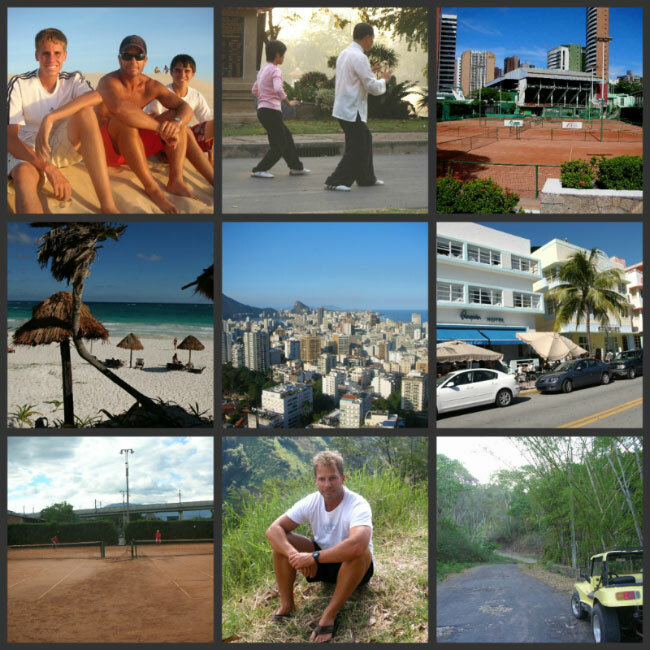 To help you with preparation for international travel and tournament play, Tennis Fit wants to acquaint you with the obstacles and opportunities you’ll encounter as you face the rigors of travel and the demanding standards of tournament play. The ideal Tennis Fit player is well traveled and possesses the physical and mental agility to quickly adapt. To help you in adjusting to the many different types of environments, cultures, languages, surfaces and game styles; Tennis Fit showcases training facilities, tournament venues and unique recreational and tourist attractions for those free days between training and tournaments. For a tennis and fitness evaluation or custom program please contact Bryan Hiner or Amyn Soldier to discuss scheduling and fees. Please check Tennis Fit on Facebook for daily updates and special offers.